For use with 1/4 Inch (6.25 mm diameter) water filter tube. 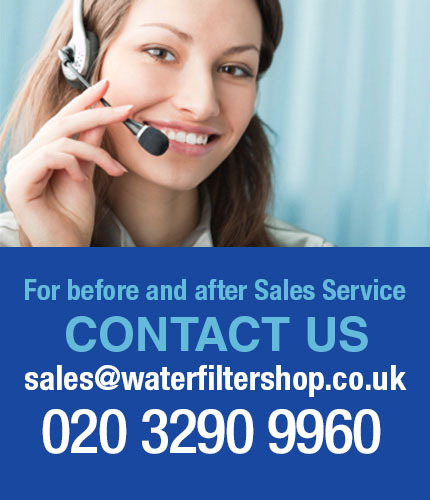 Use this handy device to provide a shut off facility to your water filter system. By simply turning the blue handle, you will shut off supply to your water filter or water cooler system. 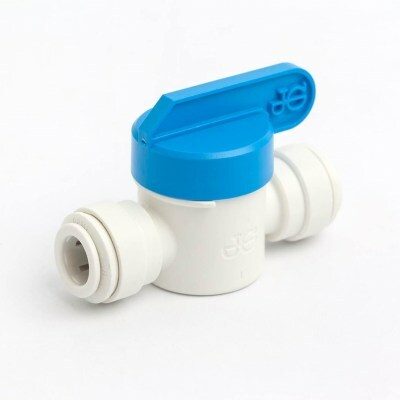 The shut off valve is very useful for use with Reverse Osmosis Water Filters, Fridge water filters, Fish tanks, Ice makers, Coffee Machines, Home breweries, Water Coolers, Hot Water taps and many other applications. Otherwise known as a "ball-valve" the John Guest shut off valve is the most reliable and high quality with NSF certification (standard 51 and 62) and FDA approved materials, guaranteeing safety with water and food applications. Shut of valve, in-line pushfit with 1/4" X 1/4" push fit connections.